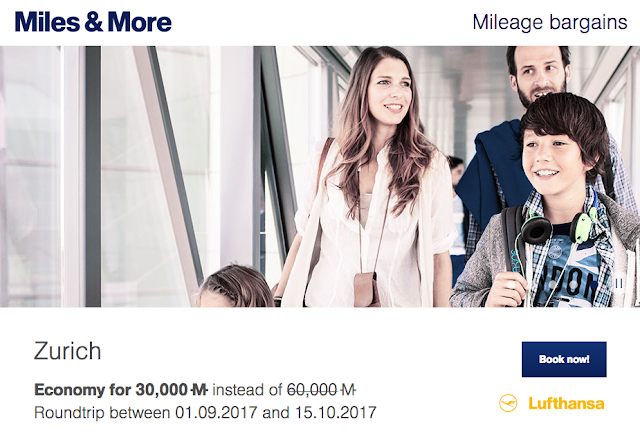 As we do each month we bring you the latest set Miles & More "Meilenschnaeppchen" discounted mileage awards! This month we see a lot more offerings than we have seen over the past few months as we see the return of some Business Class options! The business class option is only for Austrian's Toronto flights to cities in Austria while economy class is available on the Montreal Lufthansa flights. 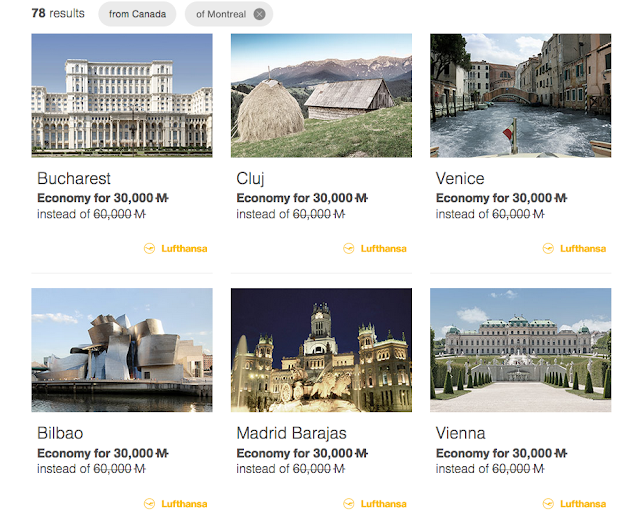 You can redeem Miles & More miles for round trip economy class tickets on Lufthansa from Montreal to Europ for only 30,000 miles. This is a 50% discount off the normal Economy Class award ticket price of 60,000 miles. Granted the Lufthansa tickets will have fuel surcharges but this is still a pretty good deal when you look at it as a whole in terms of miles+cash outlay. 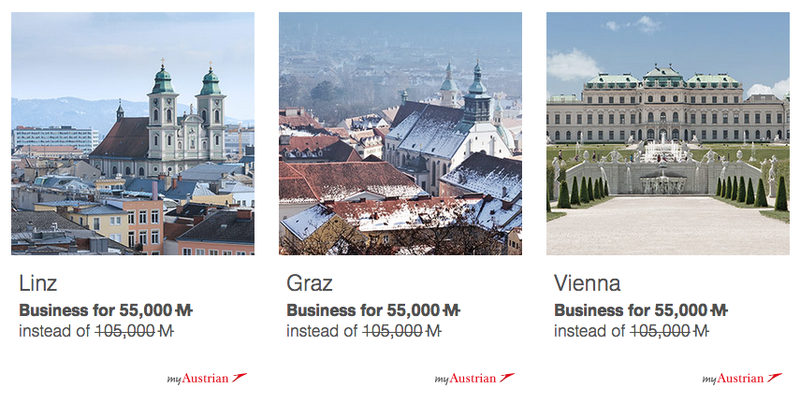 For business class between Toronto and Austria on Austrian, the discount is a bit below 50% as you need to redeem 55,000 miles for round trip flights that normally cost 105,000 miles. As we mention every time they have the 50% off economy offer is that you could in theory get the tickets with grabbing a couple of credit cards and a $120 annual fee! - there aren't many cards that will get you a round trip flight to Europe for that amount of spend! How so? As we usually mention in this post you can boost your Miles & More account with the Starwood Preferred Guest Credit Card from American Express. Currently the card comes with a 20,000 Starpoints sign up bonus. When you convert those 20,000 Starpoints to Miles & More SPG will award you an additional 5,000 miles. Which gives you 25,000 miles. Yes but I need 30,000 points for the ticket right? Right then you get yourself the Chase Marriott Rewards Premier Visa card with the 30,000 or 50,000 point sign up bonus. You can then convert those to SPG at a rate of 3:1 so you have now added 10,000 to 16,000+ more Starpoints to you account. Now you would convert 25,000 Starpoints to Miles & More as they'll give the 5,000 extra for that 30,000 miles and still have 5,000 to 11,000 Starpoints left over. Bad news is you have less than a month to book these offers so chances are you won't get all the points from these credit cards in time. If you don't have these cards but like offers like this we would suggest getting them right now so you could potentially travel later this year.